Suction anchor pumps mounted on ROVs are the cost effective method of installing deepwater suction anchor piles in soft sediment seabed materials. 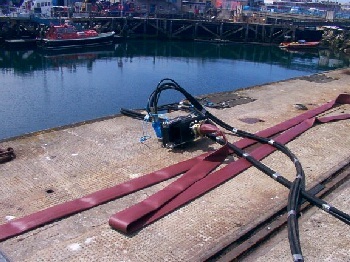 The suction anchor pile is now a regular feature in modern deep underwater engineering projects. 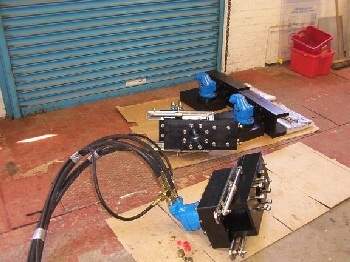 Following repeated requests for high flow at low suction differential pressures we are now completing the final stages of the AT30 Turbine Suction Anchor Pump development. 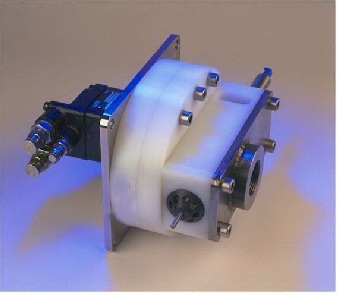 Designed for suction pressure differentials of less than 1.5 bar this pump has a novel and extremely simple flow reversal system when compared with previous designs of ROV suction anchor pump systems. 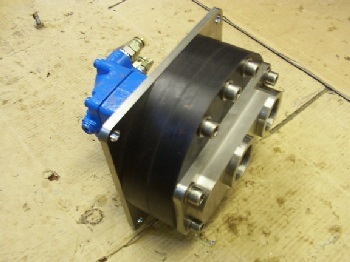 The operating characteristics of the pump have been optimised to maximise safety when installing low pressure anchors. Operating data, installation specifications and pictures of this pump will shortly be available on demand for interested end users. The AZ20 is the advanced heavy duty ROV suction anchor pump designed and built by AMITS. It provides twice the performance of the AZ10 in a very similar package size. The performance enhancements are the result of new porting, a new impeller design and a larger motor. Despite being a more powerful pump the unit offers finer progressive control at the low suction pressures demanded by installations in soft unstable soil conditions. This pump has a high hydraulic power demand and is optimised for the most powerful work class ROVs. The AZ20 suction anchor pump is now in full series production. Some of the first production batch are shown alongside in the workshop bay. The AZ20 has been thoroughly tested in real harbour seawater conditions on the south coast in a programme that spanned across two months. 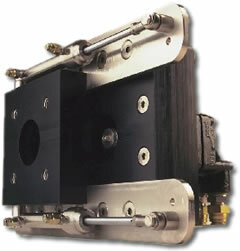 The AZ20 is distributed directly by AMITS in Europe and the Eastern Hemisphere. 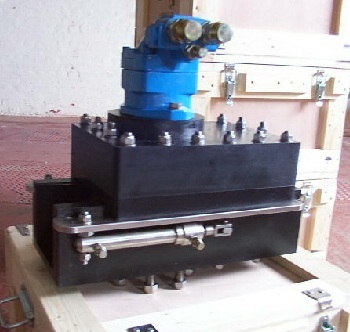 In the US and Western Hemisphere the Pump is manufactured and distributed by Oceanworks International in Houston. The AZ20 series suction anchor pump is built and distributed in Europe directly by AMITS and in the US by Oceanworks. The AZ20 is optimised for the high power deep water ROVs. US and Western Hemisphere customers please contact Oceanworks in Houston. The AZ10 Anchor Zip suction anchor pump shown further below provides an effective suction anchor installation capability and has a hydraulic power requirement compatible with the majority of older work class ROVs. The AZ10 combines the pump and a directional valve in a compact envelope. In addition to the AZ10 there is a smaller design , the AZ05 with an integral bidirectional valve which has been optimised for use from the larger inspection class of ROVs with hydraulic power packs. 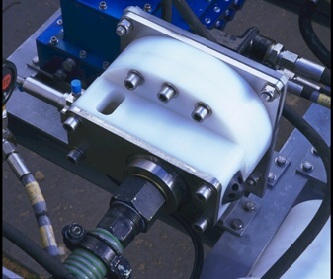 The bidirectional AZ05 is shown installed on a Perry Tritech Viper ROV.